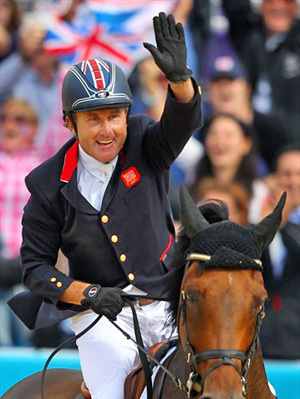 Britain’s Peter Charles has sold his team Olympic gold medal winning horse Vindicat W to US showjumper Jessica Springsteen. Vindicat W is thought to be one of the first high-profile horses to change hands since the Olympics, with two of Britain’s gold medal winning dressage horses also on the market. Charles said that “Vinnie” was one of the best horses he had ever ridden, “so the decision to move him on has not come lightly”. Vindicat won three five-star competitions with Charles this year. “He produced an outstanding performance to secure Team Gold for Britain for the first time in 60 years, and I will never forget how that felt and how unbelievably proud he made me and my team feel. “In order to invest in a new string of young horses in preparation for Rio, we have had to make the decision to allow him to move to another rider. Springsteen, 20, is one of the USA’s most promising young riders, with several big wins in recent years. She was an alternate for London 2012 with the Belgian Warmblood Vornado van de Hoendrik. Vindicat W has been bought by the Springsteen family’s Stone Hill Farm in New Jersey. His change of ownership with the FEI went through on Friday. Vindicat W is a 10-year-old KWPN gelding who was bred in The Netherlands. He is by Guidam and out of the Libero H mare Oklahoma.